Which caffeine source gives you the best boost—and the tamest crash? When it comes to the best way to get a quick caffeine fix, most people have pretty strong feelings about their preference. Coffee drinkers almost brag about not being able to function before their morning cup. Latte lovers can talk at length about the difference between almond milk versus oat. Don’t even get Bulletproofers started about the benefits of butter and MCT oil—they have the energy to talk for hours. And then there are those who reach for matcha—and never seem to have a case of the Mondays. But stereotypes aside, which one is really the most effective pick-me-up? Food Coach founder Dana James, MS, CNS, CDN, did her entire dissertation on how caffeine affects the body. 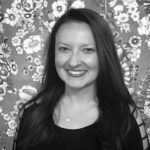 The dietitian has studied nutrition, biochemistry, functional medicine, and cognitive behavioral therapy. If anyone can offer up a side-by-side comparison of the various caffeine types, it’s her. Here, she compares seven different sources, looking at caffeine amount, how long the energy high lasts, and how hard the crash comes. But there’s one caveat: “The effects of caffeine really depends on if the individual is a fast metabolizer or a slow metabolizer,” James says. (Caffeine fact: Women metabolize it slower than men, and if you’re on the pill, it stays in your body longer.) The info called out in this handy dandy chart—and this super pretty Pinterest one—below gives only gives a general idea—there’s no rubric that works for everyone. Ready for your caffeine education? Keep reading for all the facts on how different energy sources affect the body. If you like your coffee black, you can expect an energy boost that lasts between four and six hours—as long as your coffee beans aren’t contaminated. “Coffee beans are one of the most heavily pesticide-sprayed crops there is,” James says, adding that she recommends buying organic coffee only, for this reason. It’s a sure sign your beans are contaminated if you need a nap two hours later. And as for that dreaded coffee crash? James says it’s real, though differs from person to person on how bad it is. If you are very much in the “struggle is real” camp, you might want to consider adding a little milk or switching to a latte. Keep reading to find out why. While a shot of espresso has more caffeine per ounce than coffee (and a double latte has more total than a cup of black coffee), James says that the milk (or nut milk) counteracts the effects, so you’ll feel it less. “If you add milk, you’ll have less of a crash than you normally would because it negates part of the adrenaline response that happens from caffeine.” This means your energy won’t peak as high as it would after drinking black coffee, but the low won’t be as low either. The reason Bulletproof coffee has more caffeine than a regular cup of joe is primarily because the beans are essentially as clean as you can get. But James says the add-ins (butter or ghee and MCT oil) work similarly to milk, lessening the effects—including the crash. Still, she says the kick comes harder and faster than black coffee. According to Bulletproof, it’s because the MCT oil works directly in cells, giving an extra boost. There’s a reason why matcha drinkers tend to be a bit more mellow than coffee guzzlers: It has less caffeine and no crash. “The reason for that is because of the ECGs [a type of antioxidant] and other phytonutrients in it,” James explains. “It’s antagonistic toward the adrenaline response.” In other words, it isn’t going to make your heart race the same way coffee does. Whether you pair your matcha with almond milk or water makes a difference, too. Similarly to coffee lattes, James says milk will lessen the effects a bit. So if you want a strong cup of matcha, make it with water. Black tea has even less caffeine than matcha (though regular green tea is lower). “All caffeine metabolizes in the body the same way, it’s the amount and what’s paired with it that makes a difference,” James says. Since this source has about half of what coffee has, you can expect half the effects. Americans are so obsessed with coffee that it’s even found its way into our snack bars: Caffeinated snacks are definitely becoming A Thing. Many, like Eat Your Coffee Bar, are made with a full cup of coffee. So, how exactly does it work in food form? “Just like with milk, it’s going to counteract the effects a bit,” James says. Similarly, drinking a cup of coffee on an empty stomach will likely leave you wired. Popping back 200 milligrams is like getting a hit of two cups of coffee at once; and since it’s pure caffeine, you can expect it to be intense. You can also expect to crash—hard. That doesn’t mean they aren’t safe. “Caffeine pills are actually an effective pre-exercise tool because you are able to work out more intensely,” James says. But if you’re using it to get through the workday, expect to need a big ‘ol nap a few hours later. 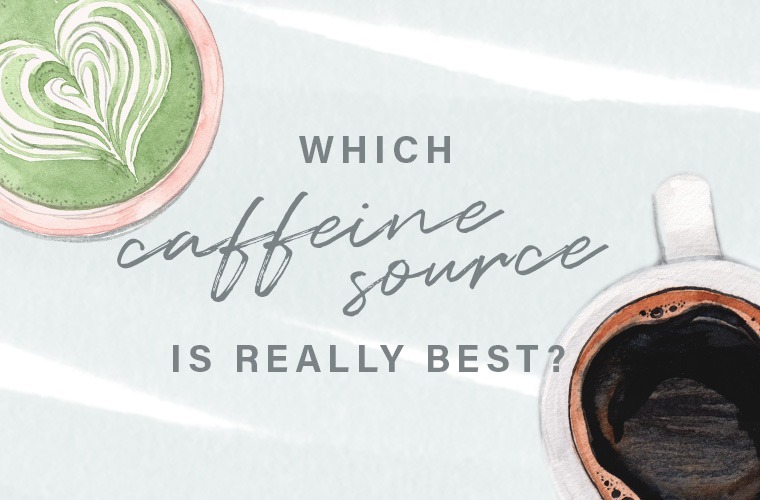 For better or for worse, it turns out that there’s no one clear winner in the best caffeine option competition—the key is figuring what works for your body. So fill up your favorite mug with whatever perks you up—just remember, everything in moderation. If you want to cut caffeine all together, here’s how. And yes for the record, coffee is actually good for you.